Here are some of my favorite properties for sale in Redondo Beach that hit the market in the past week (some a little longer). I selected each of these homes for reasons that I will explain below. This property has been on the market for 27 days now, but it’s worth a look if you haven’t seen it yet. 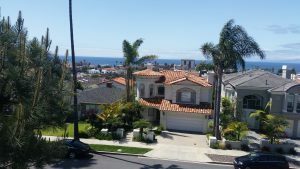 I love this location in South Redondo because the incline allows for great ocean views. 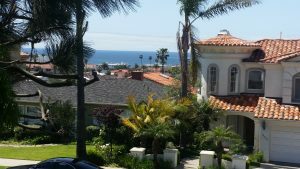 Also the streets in south Redondo are broad, creating lovely curb appeal, and a feeling of space that is hard to find in the beach cities. Unobstructed ocean view from the 2nd floor. 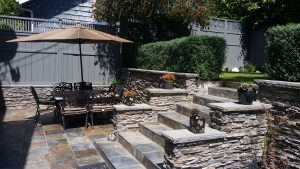 Stairs from the back patio in this Redondo Beach single family lead to a large grassy backyard. 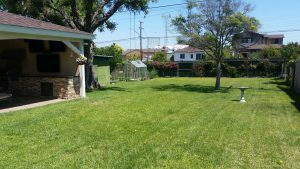 So here’s what I like about this property:The backyard is large and versatile. 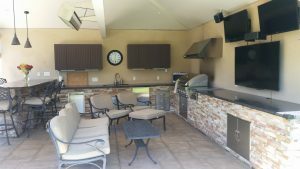 There is a patio area just off the kitchen which is perfect for entertaining. Then take a few steps up to the grassy yard, ideal for kids or pets. 1. The location: not only is it esthetically pleasing, but it’s not too far from the beach and not too far south to make your commute north absolutely miserable. 2. Views: You can enjoy the ocean views from the front deck and living room as well as the master bedroom and bathroom. The views on the first floor can be blocked, but the second floor views are spectacular and they are safe from obstruction. 3. Square footage: This is a large home with 2,845 sq. feet. All the rooms are spacious; the kitchen has a huge island and a pantry. 4. The backyard: Like I said, it’s been on the market for almost a month so it may be time to negotiate the price down! This home is on one of the best streets in the TRW tract of North Redondo Beach. It’s a small remodeled home with only 2 bedrooms, but the lot is 8,315 square feet, leaving room to grow. You can live in this home and add on down the road. What makes the home very livable is the outdoor living/entertaining space. 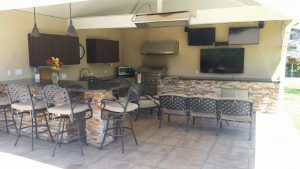 It’s an awesome free standing covered patio with bar, built-in barbecue, refrigerator, heater and flat screen TVs. You will want to invite all your friends over every weekend! This home is priced at $899,000. The house is small, but the home will sell for more due to the size of the lot and backyard. Hang out in your high end outdoor patio with all the amenities. Large backyard of this 8,300+ lot on Pinckard Avenue in Redondo Beach. There’s room to build a much larger home and still have a rockin’ backyard. 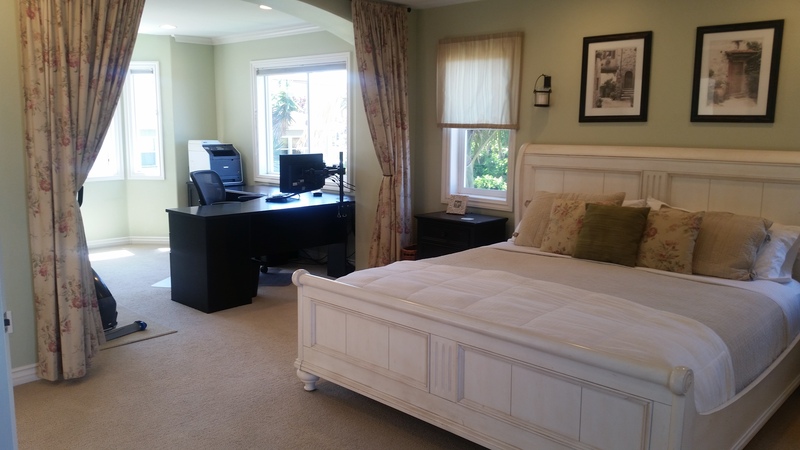 The master bedroom in this North Redondo Beach townhome has a spacious alcove. As usual a few townhomes in North Redondo Beach have it the market. My favorite this week is 2303 Harriman Lane, #B. It’s the back detached unit on a 2-on-a-lot. This home gets great light. It was built in 2000 but its appointments are still attractive and don’t feel too dated. I like the curved staircase. And my favorite features were in the master bedroom. There’s the tw0-way fireplace and a large, pretty alcove that is perfect for a home office, workout area or a sitting room. It’s well priced at $1,049,000. The current competition is higher priced and not as nice, in my opinion.